"Wolves" by Candace Savage. A simply FANTASTIC photo folio from the Sierra Club documenting the world of wolves. FIRST EDITION from 1988, hardbound with original bookjacket. In EXCELLENT condition. Stamped bookplate inside front cover. Ninety-seven color images by outstanding wildlife photographers and a thoroughly researched, illuminating text explore the history, life cycle, and true nature of wolves worldwide. 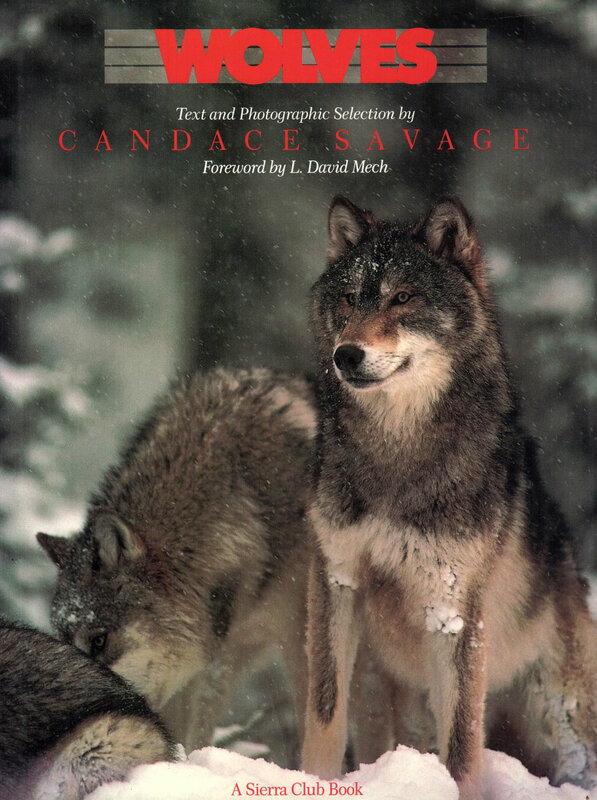 Author Candace Savage traces the global history of wolves and then focuses specifically on the North American wolf, exploring the mythology and negative stereotypes of wolves, as well as equally erroneous "Disneyfied" images. Describing their true behaviors, she tells us why wolves have become symbols of vitality and wilderness and alerts us to the perils they face in North America. A GREAT book! Only one in stock.